(W) Lisa Yee. 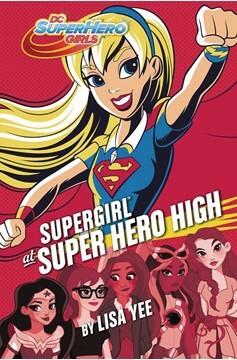 This groundbreaking new middle grade series follows DC Comics most iconic female Super Heroes and Super-Villains...as high schoolers. At Super Hero High, the galaxys most powerful teens nurture their powers and master the fundamentals of what it means to be a hero..